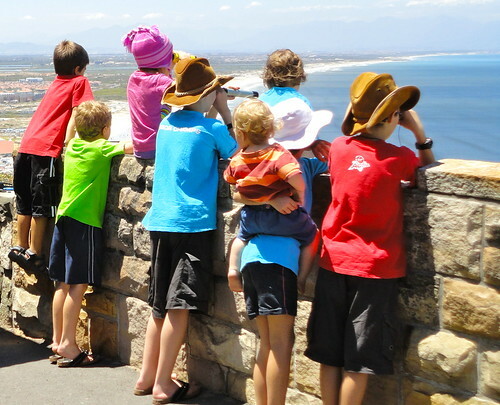 What do you do on a glorious summer day, when can see forever across False bay… Well you take your kids shark spotting of course!!! 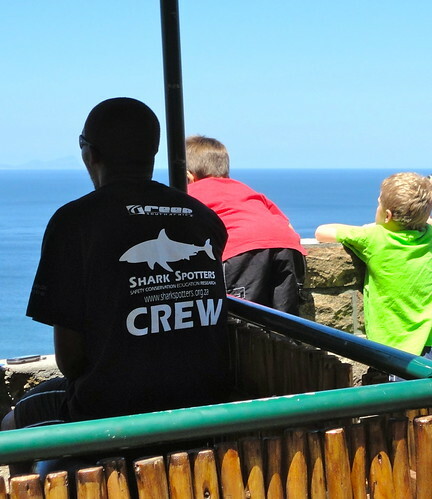 Cape Town has had quite a few shark incidents in False Bay over the years and this led to the establishment of the Shark Spotters on the mountain side above our beaches… I personally am quite thankful they are there… you can read more about them on their website. 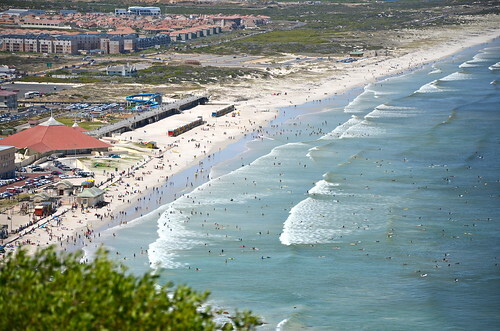 And lets face it if I was swimming down there I would be so glad to have a shark spotter stationed up above!!! So today we got to stop and ask the spotter endless questions about his walkie talkie, and how long does he sit there each day, and does he have snacks (apparently my kids are aiming for careers where snacks are provided!!!) and how many sharks does he get to see and so on and so on and so on… And what a fun, patient guy answering ALL the questions. I reckon he spends more of his day educating the public about sharks and possibly snacks than he does actually spotting sharks. Making Kelp Horns at the Shark Center. Ocean Scenes With Se7en Crafty Ideas. That is a job that wasn’t part of our career talks at school. Good to know that there is someone watching. Hay Cheryl… Don’t say we leave career planning out of our curriculum!!! Have a fun Day!!! Wow! I bet the kids loved that. 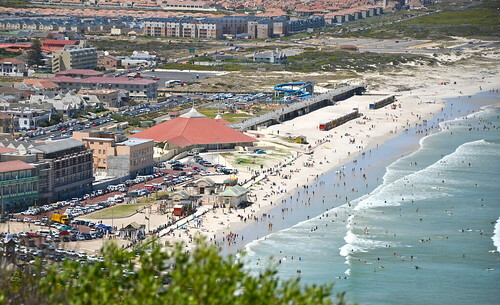 My friend was just in SA and mentioned a shark warning on the beach where she was. Must be common over there? Hay Katy, My computer consumed my reply!!! I just wanted to say how thrilled I was to get a visit to our blog from you!!! 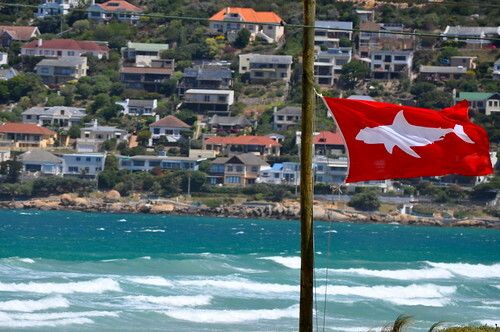 We have a lot of shark warnings… daily the siren whines its way across the bay!!! 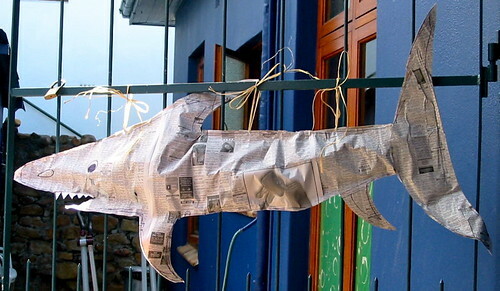 We have only had shark monitoring the last few years, after a couple of shocking incidents… the sharks were probably there all along, but we were unaware of them!!! Needless to say we paddle in the sea, but swim in our pool!! !